Greg Morrisett is the Dean of Computing and Information Sciences (CIS) at Cornell University, which houses the departments of Computer Science, Information Science, and Statistical Sciences. He received his bachelor’s degree from the University of Richmond and both his Master’s and Doctorate degrees from Carnegie Mellon University. Professor Morrisett’s research focuses on the application of programming language technology for building secure, reliable, and high-performance software systems. A common theme is the focus on systems-level languages and tools that can help detect or prevent common vulnerabilities in software. Past examples include typed assembly language, proof-carrying code, software fault isolation, and control-flow isolation. Recently, his research focuses on building provably correct and secure software, including a focus on cryptographic schemes, machine learning, and compilers. 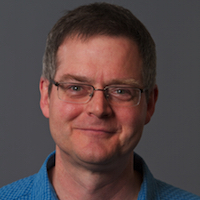 Morrisett is a Fellow of the ACM and has received a number of awards for his research on programming languages, type systems, and software security, including a Presidential Early Career Award for Scientists and Engineers, an IBM Faculty Fellowship, an NSF Career Award, and an Alfred P. Sloan Fellowship. Ben Zorn is a Research Manager and Principal Researcher, co-managing the Research in Software Engineering (RiSE) group, a group of over 30 researchers and developers working on programming languages and software engineering in Microsoft Research, Redmond. After receiving a PhD in Computer Science from the University of California at Berkeley in 1989, he served eight years in the Computer Science faculty at the University of Colorado in Boulder, receiving tenure and being promoted to Associate Professor in 1996. 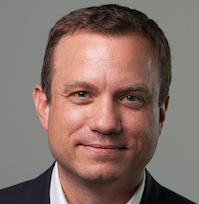 Dr. Zorn left the University of Colorado in 1998 to join Microsoft Research, where he currently works. His research interests include programming language design and implementation for reliability, security, and performance. Dr. Zorn has served as both Program and General Chair of the ACM SIGPLAN Programming Language Design and Implementation (PLDI) Conference, as an Associate Editor of the ACM journals Transactions on Programming Languages and Systems and Transactions on Architecture and Code Optimization. Dr. Zorn as also served seven years as a Member-at-Large of the SIGPLAN Executive Committee and currently serves on the ACM Software Systems Award Committee. 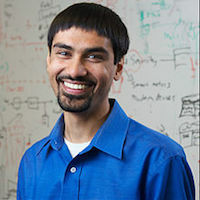 Shwetak N. Patel is the Washington Research Foundation Entrepreneurship Endowed Professor in Computer Science and Engineering and Electrical Engineering at the University of Washington, where he directs his research group, the Ubicomp Lab. His research interests are in the areas of Human-Computer Interaction, Ubiquitous Computing, Sensor-enabled Embedded Systems, and User Interface Software and Technology. He is particularly interested in developing new sensing technologies with a particular emphasis on energy monitoring and health applications for the home. Dr. Patel was a founder of Zensi, Inc., a residential energy monitoring company, which was acquired by Belkin, Inc in 2010. He is also a co-founder of SNUPI Technologies, a low-power wireless sensor company. He received his Ph.D. in Computer Science from the Georgia Institute of Technology in 2008 and B.S. in Computer Science in 2003. Dr. Patel is a recipient of a MacArthur Fellowship (2011), Microsoft Research Faculty Fellowship (2011), Sloan Fellowship (2012), TR-35 Award (2009), World Economic Forum Young Global Scientist Award (2013), and an NSF Career Award (2013). He was also was named top innovator of the year by Seattle Business Magazine and Newsmaker of the year by Seattle Business Journal in 2011. His past work was also honored by the New York Times as a top technology of the year in 2005. Jennifer Rexford is the Gordon Y.S. Wu Professor of Engineering in the Computer Science department at Princeton University. Before joining Princeton in 2005, she worked for eight years at AT&T Labs–Research. Jennifer received her BSE degree in electrical engineering from Princeton University in 1991, and her PhD degree in electrical engineering and computer science from the University of Michigan in 1996. She is co-author of the book “Web Protocols and Practice” (Addison-Wesley, May 2001). She served as the chair of ACM SIGCOMM from 2003 to 2007. Jennifer was the 2004 winner of ACM’s Grace Murray Hopper Award for outstanding young computer professional. She is an ACM Fellow (2008), and a member of the American Academy of Arts and Sciences (2013) and the National Academy of Engineering (2014). The Industry Collaboration Working Group will lead the CCC’s effort to find and communicate best practices to industry-academia and public-private partnerships. Informed by the CCC’s 2015 The Future of Computing Research: Industry-Academia Collaborations this working group will establish ties with industry and lead the creation of white papers, workshops, and other content for future collaborations. The focus of the working group for 2018-2019 will be transportation, particularly autonomous vehicles and the requisite intelligent infrastructure. Evolving Academia/Industry Relations in Computing Research: Interim Report – This report considers how emerging trends – such as the dramatic increase in undergraduate computer science enrollment, the increased availability of information technology, and the rising level of interactions between professors and companies – impact the interaction between academia and industry in computing fields. As this is an interim report, we seek input from all the constituencies that can influence and are affected by these changes including industry, universities, and government agencies and in the roles of students, professors, industry representatives, and administrators. Please submit your comments here. We appreciate input from across the community as it will inform and strengthen the conclusions of the final report. The Future of Computing Research: Industry-Academia Collaborations white paper – This paper presents some of the current challenges to industry-academic collaboration and offers some best practice to overcome those challenges. Challenges to Keeping the Computer Industry Centered in the US white paper (DRAFT) – This draft paper analyzes the risk that the center of the computing industry – currently focused in Silicon Valley – will move outside of the United States and steps the government should take to prevent that.